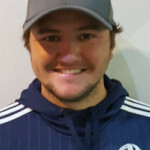 Coach Scooter has been coaching for 12 years and started with AFC when the club first started and coached the first twp AFC teams. Currently Coach Scooter coaches the 01, 05 and 06 boys teams. Coaching is Scooters passion. He loves passing on knowledge of the beautiful game to the kids in the community that he grew up in. What I love about coaching is seeing the development and maturation the players have from year to year. It is amazing to look back at pictures of when the players were 9-10 years old and see them 5 or 6 years later. One of the great things about AFC is that it is a family type atmosphere so there is not a lot of roster turnover so we get to see our young kids turn into young men/women. Big fan of Liverpool FC and Steven Gerrard.